We’re so proud of and thankful for each and every one of our families, we’re giving them the chance to show off a bit. We’ll be shining the spotlight on families by letting them introduce themselves and tell us a little about why and how they got involved with adoption. Today we’re letting the Bruvold Family tell their story. Hello! We are Erik and Molly Bruvold. We live in Indiana and have adopted three beautiful boys who are all brothers. They are Miro (10), Georgi (8) and Filip (7). Before Erik and I met we both had the desire to adopt. 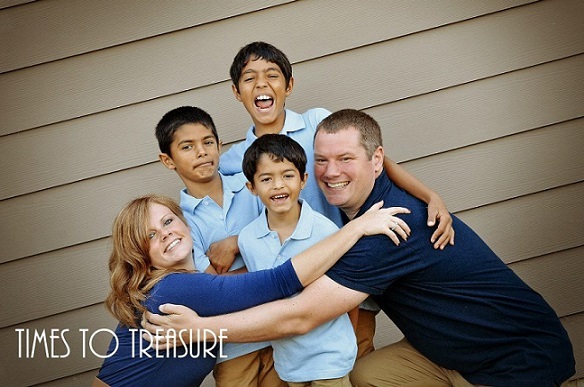 Erik’s family has a history of adoption within it, and while in high school I became determined to adopt siblings after learning about the orphans around the world. After we married we wanted to start a family quickly and ran into a few bumps along the way. We quickly rediscovered our desire for adoption and jumped into the process. We chose international adoption because we felt we would be giving an opportunity at life to children with the least chance of getting one in their present circumstances. What country did you chose to adopt from and why did you choose that country? We chose to adopt from Bulgaria. We initially started out as a Samoa waiting list family, and as we were compiling documents for our home study our hearts were led to Bulgaria. We have a sister-in-law from Eastern Europe who we thought could provide our children with a cultural connection as well. Why did you choose to work with MLJ? We chose MLJ for several reasons. We wanted an agency that was close to our home so we could feel more connected through the process. After our initial meeting with Nicole, we knew MLJ was the agency for us. We were impressed with all the education opportunities that would be available to us as well as the post adoption support they offered. 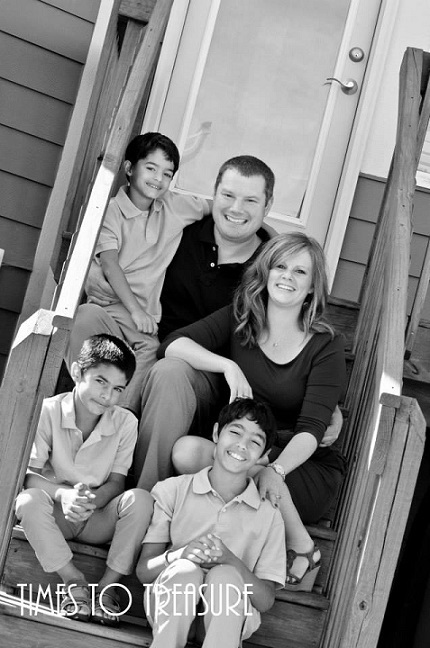 We are happy to have not only found an adoption agency out of MLJ but truly an extension of our family. We were very fortunate to have a process that lasted only 13 months. Our process was expedited as our children were on the waiting children’s list. Although our process was very short compared to other international adoptions, we were not prepared for the months of waiting to hear whether we were officially matched, when we could travel the first time and when we could finally go back to bring our boys home to feel like an eternity. It was also very eye opening to learn about another country’s government and how their processes work. It has made us very grateful to live in the US even when our government has its own quirks. Many people we talk to say that we have made an “instant family”. While we appreciate the sentiment, those people have no idea how much paperwork, preparation and angst we went through while making our “instant family”. Going from zero to three very active children has turned our lives upside down in the most amazing ways. It has not only impacted our immediate family but also our extended family. We have received amazing support and as a result our boys are learning what a family is. While looking back on the first few days our boys were actually home with us, all I can think about is being beyond exhausted and nervous we were doing it all wrong. We are fortunate that we have family that lives near to us and was here to help us. Let them help you when you bring your kids home. It may sound silly but take all the help they are willing to offer. Erik and I often talk about the differences from then to now and it has become natural. Yes, we speak two very different languages, but we are all learning every day. In most ways it is like bringing babies home from the hospital. You can’t communicate with them through words but through love and good intentions the parent and the child learns and grows. Sometimes we forget our family isn’t the “norm” at all, and we couldn’t imagine it any other way. Just do it! So many of us have the resources and love capable of supporting a child in need yet don’t. Some may be afraid of the process and some may be apprehensive of a communication barrier, but if you find the right agency and support system those things don’t matter. You can do it, and there is an adoption community to help you through it! We will never forget the first time we saw our sweet children’s faces and read about them. While we were open to a sibling group we pushed to the upper limits of what we had in mind in regards to number and ages. Then something happened…we realized that these children needed a family and we were that family. We couldn’t stand to think that someone had looked them over and what their futures would look like without a family. These were the only children we were introduced and we couldn’t have been more perfect for each other! We hope more families will consider older children who have smaller chances of finding their forever family. Whether the child is a newborn or teenager, they deserve a family. If you would like to be featured in our Family Spotlight please email lauren@mljadoptions.com.